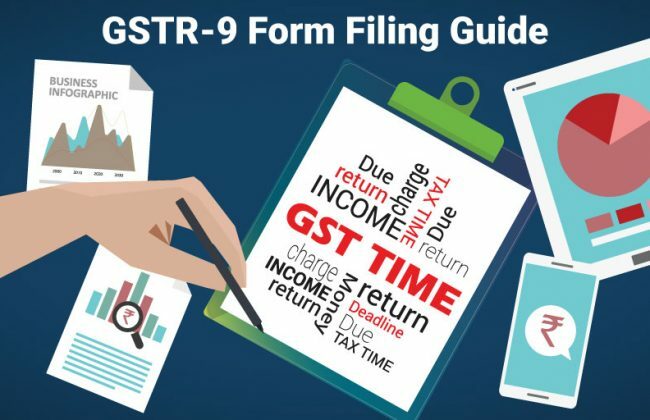 ?Based on GSTR-1 filed, the consolidated summary of GSTR-1 will be made available as PDF download. ?Based on GSTR-3B filed, the consolidated summary of GSTR-3B will be made available as PDF download.
? In each table of GSTR-9, values will be auto-populated based on GSTR-3B and GSTR-1 of the year. All the values will be editable with some exceptions.
? Table 6A and table 8A will be non-editable. Other values will be editable barring tax payment entries in table 9.
? Download this GSTR-9. This will be generated in JSON format.
? After filling up those values, JSON file to be generated and saved. Log on to the portal and upload the JSON file.
? The file will be processed and error if any will be shown.
? Error file to be downloaded from the portal and opened in the Excel tool.
? After making corrections, upload the file on the portal.
? Corrections can be made online also except table 17 & 18 if the number of records exceeds 500 in each table.
? After filing, the return can be downloaded as PDF and/or Excel.
? Revision facility is not there, therefore, the return should be filed after reconciling the information provided in the return and in the books. तुमच्या व्यवसायाला स्प्रेडशीट्स च्या गोंधळापासून स्वतंत्र करायचे आहे का?